InstaEDU wants to become a truly scalable on-demand video tutoring platform, and Course Hero needs a way to dogfood its online education tools. So InstaEDU has just sold its in-person in-home tutoring business Cardinal Scholars to Course Hero for an undisclosed sum. The deal will help both startups disrupt the outdated tutoring industry, undercutting the high overhead of Kaplan and Sylvan learning centers, and using live video to make education sites like Tutor.com seem cold by comparison. 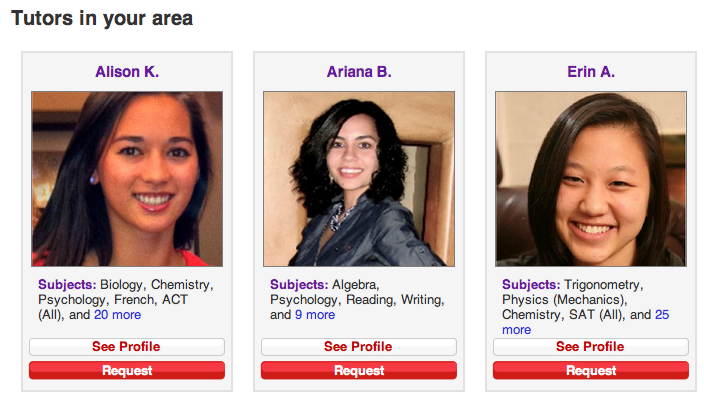 InstaEDU built Cardinal Scholars at Stanford as a way to connect top-tier university students who need jobs with K-12 kids who need a leg up to ace a test or get into a good school. But since it recently pivoted into online video tutoring and rebranded as InstaEDU, Course Hero will make a better home for Cardinal Scholars. Still, the business is simple but brilliant. Undergrads and those who’ve just completed their degrees need beer–, oops, I mean book money, but have busy schedules. Having already shown they’ve got the brains to get into an A-list college lets them command high rates for relatively short tutoring sessions. Tons of my friends from Stanford have done part-time tutoring because it’s just so lucrative and flexible. Some have even delayed full-on employment to live the life of a bohemian tutor. Meanwhile, parents are desperate to help their children succeed. Seeing the tough job market and worried they’ll end up bums, more and more are willing to pay what’s necessary to give their kids an edge. In short, there’s plenty of talent for Cardinal Scholars to employ, and plenty of clients to serve, so the business has big potential. Course Hero plans to expand Cardinal Scholars from the Bay and Boston areas to over 100 universities over the next year. 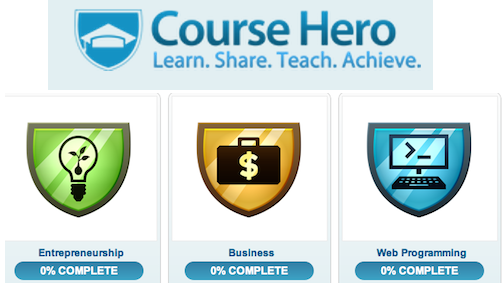 The tutors will be able to utilize Course Hero’s online study documents, flash cards, and curricula to give kids homework to do between sessions, and Course Hero is currently building a tutor dashboard so they can monitor their pupils. The tutors will also give Course Hero feedback to refine its products, which are traditionally served online without an in-person tutor. Without feet on the ground, Alison Johnston, CEO and co-founder of InstaEDU will be able to focus on getting faces on webcams. 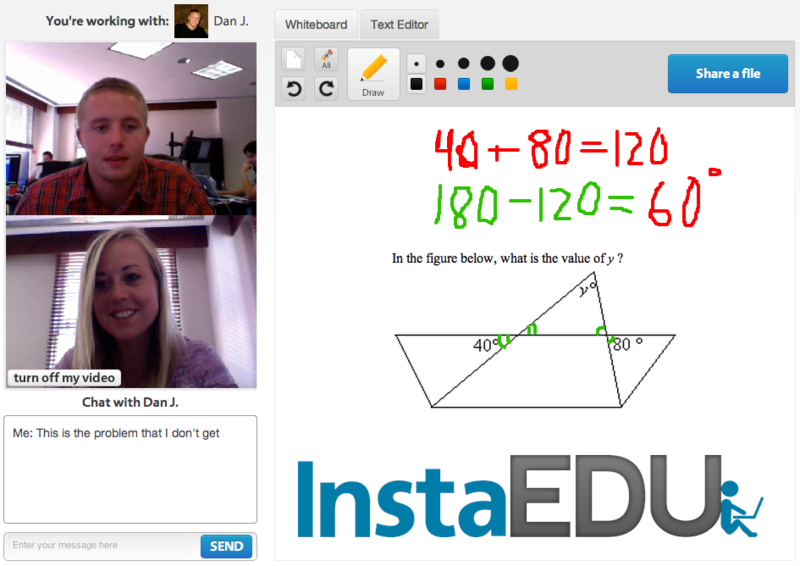 InstaEDU lets needy students connect to tutors over live video chat at any hour of the day to get help on homework and prep for tests. And I foresee an even grander vision for the platform, where job applicants could get last-minute practice primers or practice in areas they’ll be quizzed on in interviews. If all that stands between you and a fat, recurring paycheck is one last interview, I’d imagine you’d pay top dollar for confidence in Python, Photoshop, or Excel.